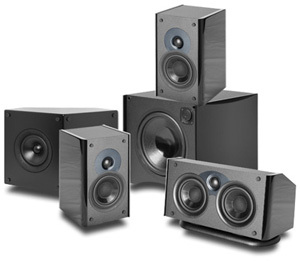 Rob said: For someone looking for a complete 5.1-channel speaker system to enhance his or her audio listening experience without going broke, I recommend Atlantic Technology’s System 1400. A larger center-channel speaker with clearer dialogue and lower bass response would be nice, but otherwise, the System 1400 / SB 224 has a lot going for it. The gist: Good overall, but needs a better center-channel speaker. Deal breaker?